I have not used my 1975 era Asahi Pentax KX for a while so I loaded it with some 'Jessops Pan 100 dated 02/2001 that I had tested in another camera for processing in RODINAL 1+50. only a few negs were 'dense enough' on this bit of film which i CUT -- Maybe the KX meter was playing up although I pushed the 'Battery Check' button . 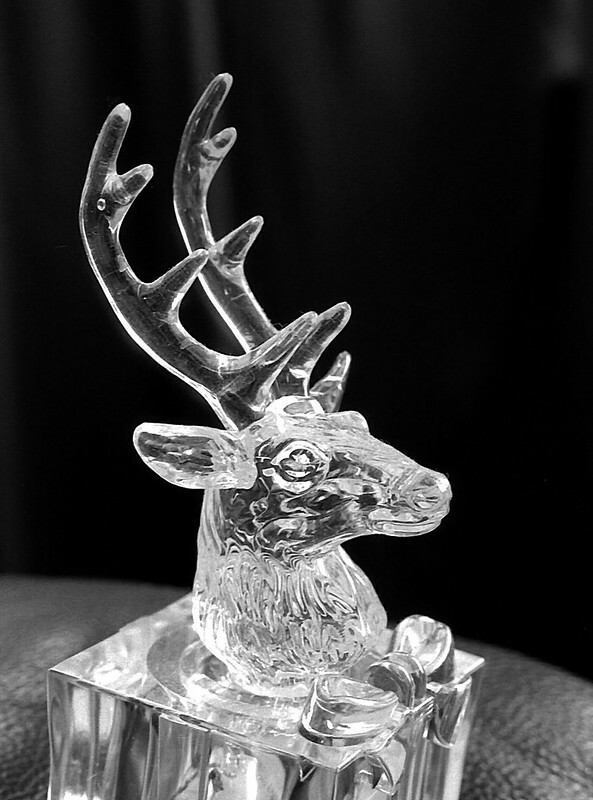 THIS Photo was OK -- it is a very small glass Stag lit by Window Light, camera on tripod, my M42 fit SMC Macro-Takumar 50mm f4 lens used at f11. I really like this not just as a photo but also as interesting piece of glass art.